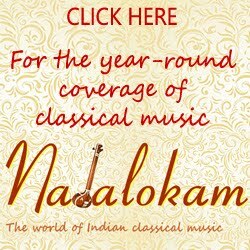 Early in the season, a couple of music festivals set up the mood to listening to classical music that will fill the air for the next two months in Chennai. Bharat Sangeet Utsav, organised by Carnatica and Sri Parthasarathy Swami Sabha is a well-themed concert series and comes up early in November. This year the festival is held from Oct. 31 to Nov. 9, 2014. 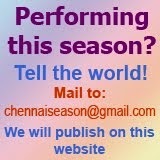 The shows are ticketed and are available online at madrasevents.in, bookmyshow.com. Season tickets range from Rs. 500 (single) to Rs. 5000 (couple).